Co-Founder of the Northern Film Alliance, Richard Hansen has spent the last twenty years working in Minnesota's film industry in a variety of capacities. He is the founder and executive director of the Duluth Superior Film Festival and the co-founder and co-director of the EDU Film Festival. Richard has worked with some of the brightest filmmakers in the Twin Cities and has guided productions for award winning artists such as Jerome Media Grant awardee Tara Spartz (I Hate Babysitting, 2001), Bush Fellow Liza Davitch (Victory Square 2003), McKnight Fellow Scott Coleman Miller (Uso Justo 2005), and McKnight and MSAB winner Al Milgrom (The Dinkytown Uprising (2015). Richard started his festival career at the Minneapolis St. Paul International Film Festival and went on to serve as the Film Curator at Redeye Cinema, and the Director of Sound Unseen Film and Music Festival. 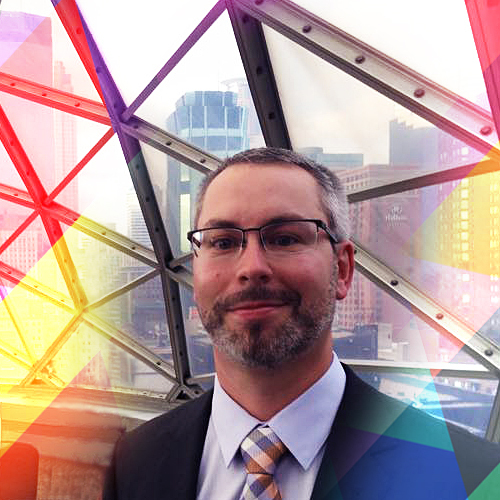 Co-Founder of the Northern Film Alliance, Trey Wodele is one of the Twin Cities’ leading educators and advocates for youth in digital arts. He is the co-founder and Executive Director of the EDU Film Festival. Founded in 2007, EDU is Minnesota's premier festival for high school filmmakers. Trey is also the Associate Dean of Education and serves as the Program Chair for Digital Video & Media production at IPR College of Creative Arts. IPR specializes in media arts with strong programing in digital video, audio production, entertainment business, and live show production. He was a formerly the Coordinator and founding teacher at Minneapolis' Digital Media Academy. Under his leadership the academy grew from a loose collection of electives to a thriving career academy and a destination school for digital media, particularly for underserved, at-risk youth. Ben has been the creative force behind EDU Film Festival since its inception, working with student artists to design annual unified marketing themes for video, print, and the web. Jaki Velez is a Music and Entertainment Business student at IPR College of Creative Arts and is as a member of the Soundset Street Team, part of the Rhymesayers Entertainment Organization. Jaki manages the social media accounts and receives, organizes, and preps the hundred plus short films that are digitally transferred to theEDU Film Festival each year.